Since Christmas our weeks have just got busier and busier. So busy I didn't even blog yesterday - horrors! My to do list is getting bigger by the day, and my time seems to be getting shorter! I have worked almost every night since last Saturday and am working all weekend, which is great for the pennies, and I am enjoying it. 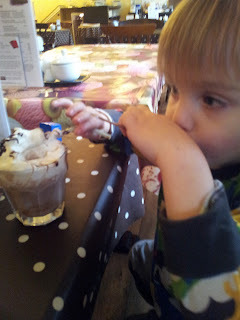 This week we finally made it to The Chocolate Cafe for the first time in ages. We used to go every week, in the heady days of maternity leave, when we had time, money and babies who stayed where you left them. We used to spend 2-3 hours, now I am lucky to be in there for 45 minutes, but we had a lovely brunch, just Joseph and I, following a trip to the shoe shop and toy shop. We came home, and Joseph proclaimed, "I am not tired, I am going to watch television". Despite my suggestion that he might, in fact, be very tired, he was insistent. Here he is 10 minutes after this statement. Joseph's words and sentences are coming on in leaps and bounds. Some new children have started pre school, and I introduced myself to one of the mums this week. Joseph popped out from behind my legs, extended his hand and said "well, I am very pleased to meet you". I have no idea where he gets this from! 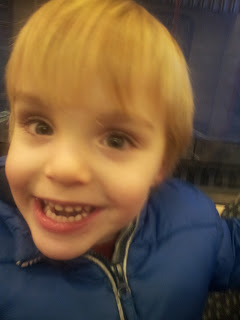 On Thursday was our eight monthly trip to orthoptics (the eye people, not to be confused with orthotics, the feet people). I started preparing Joseph a few days ago for our trip to the "eye doctor", and that she gives out stickers. Before we left I said "what will the doctor give you?" "He grinned and said "the doctor gives out cuddles!" Bad mummy had forgotten to practice with the line drawings they gave me, but Joseph excelled himself, the highlight being when she showed a picture of a mug Joseph grinned "mummy's cup of tea!". The lowlight of our week is teething. I am so sick of teething, it seems to be taking forever and he's finally getting a proper molar, but still has three more to get. 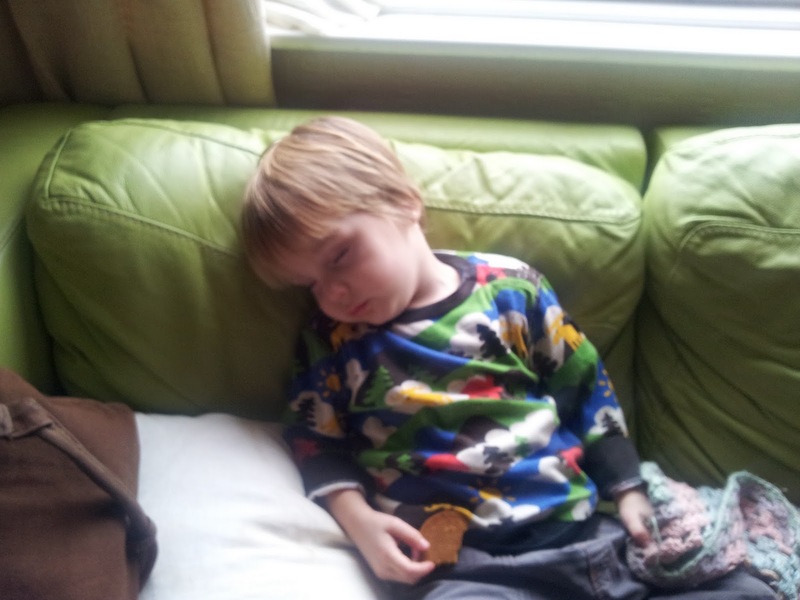 So funny now he has words "Mummy , get the magic Calpol please". Mummy thinks its magic too! To leave you with my favourite funny of the week, Niow Niow was washing her paws this week, and Joseph copied, licking his feet. He paused, looked at me and grinned "mmmmm delicious". Yuck! Good to hear he's doing so well!